The Spanish Wine Week in Ireland has become one of the most highly anticipated events in the calendar of local oenophiles. This year the celebration of vino will run from the 23rd to the 29th of April and it’ll be the event’s third edition. The occasion is perfect to visit and revisit some of your favourite wines from Spain, but also, it’s a brilliant opportunity to discover new regions, varieties and style from such a versatile and diverse winemaking culture. She celebrates that “this year there has been a growth in the amount of members from the trade getting involved in various events” (you can see some of the events planned here). Regarding the backstage effort to put everything together, she explains that they organise all the events and promotions in collaboration with Irish importers, many wineries, wine critics, retailers, media and some of the best wine bars and restaurants in the country. Their passion about Spanish wines and support is key for us to organise Spanish Wine Week. Sara points out that denominations such as Rias Baixas, Cava, Ribera del Duero, Navarra, Madrid, Bierzo, Jerez and Canary Islands greatly benefit from the spotlight enjoyed during the week. But while a proactive organiser is crucial, the Spanish Wine Week in Ireland can only be such a hit thanks to the enthusiasm and participation of the different distributors, restaurateurs, retailers and other members of the food and drinks scene who embrace the week. 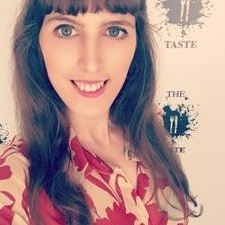 For this year, she hopes to continue exploring people’s gustatory memories: “So many of our customers have travelled around Spain, so we love to recommend wines and tapas pairings that can recreate their travels”, she adds that inviting wine lovers to try bottles from different varieties and regions is something she loves to do. For Laura Martín, arts officer at the Instituto Cervantes in Dublin, the Spanish Wine Week takes a cultural dimension. They host one of the week’s most popular events, a Flamenco, Fino and Ibérico evening, which on the 25th of April with offer a quintessentially Spanish experience. On the night, flamenco dancer Sandra Palomar and Instituto Cervantes Dublin’s flamenco group will present a colourful, followed by the opportunity to taste delicious Iberian ham accompanied by glass of Sherry wine while Sherry expert Paddy Murphy shares some insights to this variety. When asked about what aspect of Spanish enogastronomic culture she finds the most fascinating, Laura points out the joy of “finding hidden gems in small towns or villages in the middle of nowhere.” She also mentions the creativity of Spanish chefs, and the way they create new and exciting dishes using local and traditional products. Another habitué of the Spanish Wine Week in Ireland is Rafael Salazar, co-founder of Vinostito, a wine distributor that features an eclectic parade of fine wines from Spain. “I contribute with ideas and suggestions to Sara and the rest of the team at the Spanish Commercial Office that they wisely refuse!” he jokes. The Spanish Wine Week in Ireland 2018 will take place between the 23rd to the 29th of April. Organisers, partners and the general public will gather for the thrid time to celebrate the wonders of the wines from Spain.